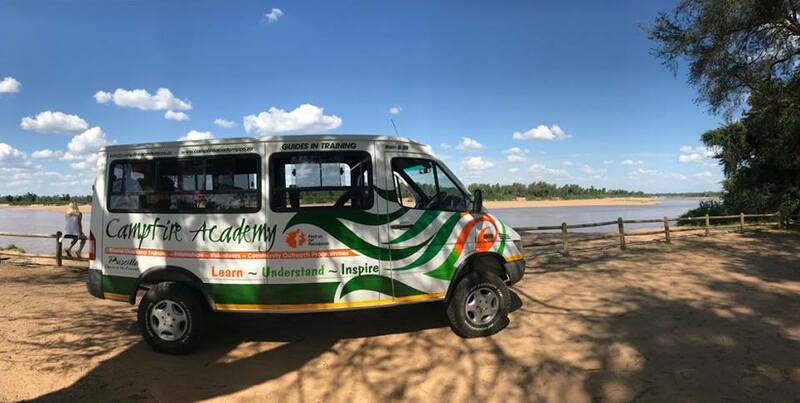 As 2017 draws to an end we decided to take Priscilla (for those that don’t know yet she is our new student bus) on her first Kruger trip. What a mind blowing trip it was. We were blessed with ROAN Antelope, Broad-billed Roller, Narina Trogon, Tsetsibi, an Ostrich picking at the signage on the bus, hundreds of elephants & buffalo and sooo many babies! Thank you to Suegnette Cronje and Daphne Bodenstein for keeping our bellies full. Frank de Beer and Brass Brassett (our veggie specialist) for binging the best braai masters. Our amazing inters, Gina Backman, Linnea Stenwald, Laurence Forget-Lacoursière and Charlotte Møller, who’s dedication to their research is inspiring. Priscilla who is just the best bus we could have ever asked for. And MOST OF ALL to Mother Nature for loving us sooo much!!! 2018 Campfire Academy is READY and we can’t wait to welcome our new FGASA students, interns and volunteers. If you are interested in what we offer, please click on the link below and we will email you all the information you will need to CHANGE your LIFE!